Physical Exam. Needed every year or more often if recommended by your provider. Please talk to your healthcare practitioner to determine how often you should get an exam. Testicular Exam. As the number one cancer for men between 15-35 years of age it is important to check your-self frequently and discuss an exam with your doctor during your physical exam. Blood Pressure Screenings. Needed every 2 years unless it is elevated than it may need to be checked more frequently. Please talk to your healthcare practitioner to determine how often you should be screened. Cholesterol Screenings. Needed every 5 years unless it is elevated than it may need to be checked more frequently. Please talk to your healthcare practitioner to determine how often you should be checked. Please talk to your healthcare practitioner to determine how often you should be screened. Diabetes Screenings. Needed if your blood pressure is above 135/80, you have a BMI of over 25 in addition to other risk factors, or you have an out of range glucose or A1C reading. Please talk to your healthcare practitioner to determine how often you should be screened. Dental Exam. Needed 1-2 times per year. Please talk to your healthcare practitioner to determine how often you should get an exam. Eye Exam. Needed every 2 years or more often if recommended by your provider. Please talk to your healthcare practitioner to determine how often you should get an exam. See what activities are going on in your community that relate to this month and don’t forget to wear blue on the Friday before Father’s day (6/16) to support the cause. Take time this month to raise awareness about cervical health and how women can protect themselves from HPV and cervical cancer. HPV is a common virus that spreads through sexual activity and is one of the major causes of cervical cancer to date. Over 79 million Americans have HPV and many don’t know that they are carrying the virus. Currently, there are more than 12,000 women in the United States that have been diagnosed with cervical cancer and one-third will die as the result. Cervical cancer can be prevented with regular screenings and can also catch abnormal cells early before they turn into cancer. Most deaths from cervical cancer can be prevented by regular screenings and follow-up care. HPV vaccines are also available. Remind the women around you to get their annual well woman visit and remember that wellness exams are covered 100% by most insurance plans. January marks a change for many things. A New Year, new commitments, and new start! Make 2017 your year with whatever you decide you want to do in your life. Here are some tips to stay motivated and achieve your New Year’s Resolutions! Be Realistic. Deciding on a New Year’s resolution that is realistic for you and your life is the first step towards being successful. For example, if you tell yourself you’re going to stay completely away from sweets but you have a huge sweet tooth and you know you’re bound to encounter some holiday treats somewhere, you may be setting yourself up for failure. Instead, challenge yourself to limit sweets to a couple times a week. Start Small. Setting smaller goals more frequently can lead to a higher chance of overall success than setting one large goal. If we use our sweet tooth example above, we start by saying limit our sweets to once a week. From there we can move to a three times a week and go from there. Being successful is the most motivating factor in keeping a New Year’s resolution. Also, the smaller the goal, the easier it is to stick to it. We can’t start training for a marathon by running 26.2 miles, but we can start with a 1 mile walk. Reward Success. Positive reinforcement works for not just our kids and dogs, but adults too! Make sure to reward yourself for your accomplishments as long as it’s not counterproductive to your overall goal. For example, if you are starting to train for a 5k and you were able to run for a full mile without stopping, go get a pedicure or take a day off from training and spend a day with your family. Doing these activities are especially rewarding because they have been earned through YOUR hard work. Friends. Invite a friend or co-workers to join you in your New Year’s resolution. We find that people are almost 50% more successful when they have someone to hold them accountable. Help each other stay on track and stay healthy. Don’t Quit. It’s almost unavoidable that you may have a slip up. Our lives and routines are always subject to change which can get in the way of your new routine and goals. Don’t quit! Change is hard and it won’t happen all at once. Stay positive and remind yourself why you set your goals and why they are important to keep up! Valley Schools, a non-profit broker and trust for insurance benefits, recently hired Christy Todd as a new Senior Account Executive due to massive growth in the number of covered lives at Valley Schools and significant increases in school district membership. Valley Schools has over a quarter century of experience in group purchasing of insurance. Christy Todd serves as a Senior Account Executive responsible for large member clients. Christy has over three decades of experience in personnel benefits and health care administration. Prior to joining VSMG this year she was the owner of the agency, AZ Health and Life Advisors LLC. Before that, Ms. Todd was an Agency Manager for UnitedHealthcare, spent 15 years in various executive positions at Blue Cross Blue Shield, and had served as a manager at both John Alden Insurance and at Pacific Mutual of Arizona. She holds a degree in Education; Business Management from Bloomington College. Congratulations to both Christy and Valley Schools! August is Children’s Eye Health and Safety Month promoting education and awareness about getting children’s eyes checked before they return to school. Most children have healthy eyes, however there are certain conditions that can threaten good vision. Because it’s difficult to determine if the child is having any vision problems it’s important to bring them to their pediatrician regularly. Vision testing should typically start around the age of three. More than 12 million children suffer from vision impairment in the United States while the leading cause of vision loss is due to eye injury. There are an estimated 42,000 sports-related eye injuries every year and most are in adolescents. Take some time this month to talk to others about the importance of regular eye exams for our youth. Healthy Summer Snack for Kids! Make Zu-Canoes for you and your family! 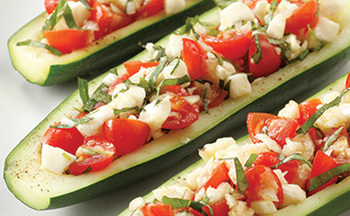 Trim both ends off zucchini; cut in half lengthwise. Cut a thin slice off the backs so each half sits flat. Scoop out the pulp, leaving a 1/4 inch shell. Finely chop the pulp; set aside. Place the zucchini halves in a microwave-safe dish. Sprinkle with 1/4TSP each salt and pepper. Cover and microwave on high until tender-crisp, 3-4 minutes. Whisk oil, vinegar, shallot and the remaining 1⁄4 TSP each salt and pepper in a medium bowl. 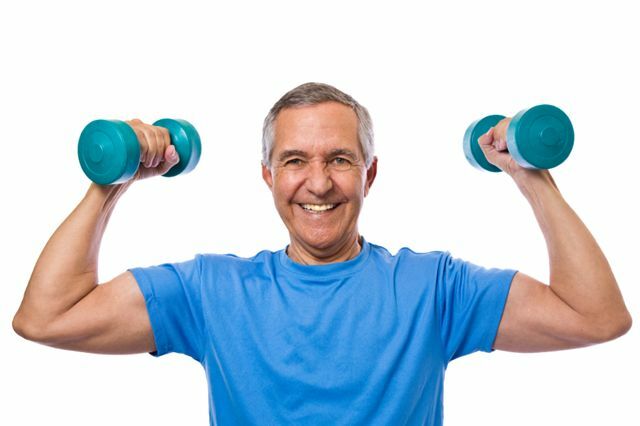 As started by the congressional health education program, Men’s Health Month is celebrated across the country in June. The goal of this national observance is to increase awareness about the preventable health problems in men and promote early detection and treatment of disease among boys and men. Testicular Exam. As the number one cancer for men between 15-35 years of age it is important to check yourself frequently and discuss an exam with your doctor during your physical exam. Blood Pressure Screenings. Needed every 2 years unless it is elevated, then it may need to be checked more frequently. Please talk to your healthcare practitioner to determine how often you should be screened. Cholesterol Screenings. Needed every 5 years unless it is elevated, then it may need to be checked more frequently. Please talk to your healthcare practitioner to determine how often you should be screened. Diabetes Screenings. Needed if your blood pressure is above 135/80, you have a BMI of over 25 in addition to other risk factors, or you have an out of range glucose or A1C reading. Eye Exam. Needed every 2 years or more often if recommended by your provider. Other. Immunizations, infectious disease. Please talk to your healthcare practitioner to determine how often you should get an exam.